Many of you who heard this term Metastatic Cancer for the first time please take your time to read the below where a small definition is given about Metastatic Cancer. What is Metastatic Cancer ? Metastatic Cancer has the same name as the Primary Cancer. The main reason why cancer is so serious due to its ability to spread in the body. If a breast cancer spreads to the nearby area like lungs then it is called Metastatic Breast Cancer, not lungs cancer. And then it is treated as stage IV breast cancer, not as lungs cancer. By moving into nearby normal tissue cancer cells can spread. One more difficulty doctors face when patients are diagnosed with metastatic cancer that is sometimes doctors can not tell where it started. Sudden weight loss, extreme fatigue, darkening of skin, change in bowel habits, fever and recurrent pain etc. Cancer can be treated at a much lower cost if it is detected early but nearly two-thirds of cancer cases are detected at advance stages which reduces the possibilities of survival. 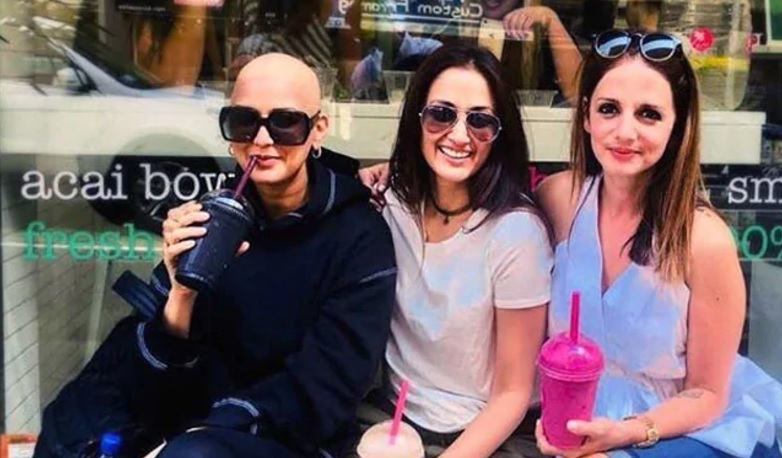 Now Sonali Bendre responding to her treatment very well and her updates on Instagram and Twitter are really inspirational to the cancer patients. 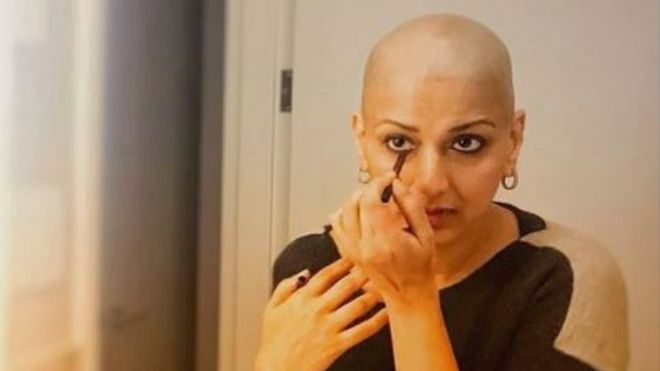 Her husband Goldie Behl told media that she is recovering but she needs regular check-ups. Garlic: Garlic can be used to treat cancer. Compounds found in garlic have anti-cancer properties. Ginger: Active compounds found in ginger like 6-gingerol and 6-shogaol help to fight cancer. Turmeric: It is proven that like garlic and ginger, turmeric also has anti-cancer properties. Wow nice inspiration . Chrck my inspiring to loose weight.